The famous composer, conductor and arranger Paul Mauriat was born on March 4, 1925 in French city Marseille in a family of two musicians. When Paul was 4, his father began teaching him piano and introduced him to classical and pop music. The boy started working in a variety show, but he stopped making performances in a few months in order to attend a music academy. At the age of 10, young Paul entered Marseille Conservatory to study piano. He dreamed to become a musician. At Conservatory his friend introduced him to jazz music. Jazz that had been unknown for Paul before amazed him a lot! He had never heard anything like this before, so he was fascinated by rhythms of this music and his young heart was eager to make jazz. During one of meetings in a student jazz club Paul Mauriat got idea of creating his own jazz orchestra. He wanted to become a conductor, because it is conductor who had the greatest freedom in choosing music. After graduating with honors from Marseille Conservatory in 1939, Paul understood that it was not enough to have just classical music education to become a jazz musician and decided to continue his education. At the age of 17, Paul established first music orchestra. The orchestra performed successfully in cabarets and music halls throughout France, and later on throughout Europe. It was notable for its distinctive style of performance. The orchestra didn’t stop its performance even during war. Mauriat wrote and arranged music for his orchestra himself. In his works he used not only jazz, but pop. According to Mauriat, he drew inspiration from performances of Franck Pourcel’s pop-jazz orchestra. 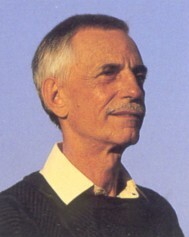 In 1957, Paul Mauriat started working as an arranger and accompanist in a recording company called Barclay, and so he moved to Paris. At the recording studio he worked with celebrities such as Charles Aznavour, Charles Aznavour, Caterina Valente, Dalida, Lenny Escudero, Leo Ferre, Maurice Chevalier. In 1962, Paul, using a pseudonym of Del Roma, wrote a song “Chariot” that brought its singer the Grand Prix in Eurovision Song Contest. He did this work together with the famous French composer and musician Franck Pourcel. Later the song got its English name «I Will Follow Him» and became popular in the United States of America. In 1964, Paul Mauriat composed music for the famous comedy "Le Gendarme de Saint-Tropez" with Raymond Lefebvre. In 1965, he wrote music for the continuation of this comedy, called "Le gendarme à New York".